Η Ύπαιθρος και η Ανάπτυξη της Υπαίθρου αναφέρονται τακτικά σε ακαδημαϊκές και μη συζητήσεις, χωρίς όμως τις περισσότερες φορές να είναι απόλυτα ξεκάθαρο τι προσδιορίζουν αυτές οι έννοιες. Ο πληθυσμός της υπαίθρου σε όλο τον κόσμο μειώνεται σταθερά. Από την άλλη πλευρά, η συμβολική της σημασία αυξάνεται ως χώρου συνδεδεμένου με την «παράδοση». Την ίδια στιγμή, με την ύπαιθρο και την ανάπτυξη της σχετίζονται και φαινόμενα όπως η αύξηση της ζήτησης «τοπικών», «αυθεντικών» και «ποιοτικών» προϊόντων, η αύξηση της 2ης κατοικίας, αλλά και της κατοικίας έξω από τον κύριο αστικό ιστό, νέες μορφές τουρισμού και δραστηριοτήτων στην «εξοχή», αλλά και με τη μείωση του αριθμού των «επαγγελματιών» αγροτών και την αύξηση της πολυδραστηριότητας των αγροτικών νοικοκυριών. This edited collection published in Migration Letters were selected to reflect on methodological challenges faced by researchers and students when conducting qualitative studies on migration. Beginning with papers focusing on broader discussions of methodological issues and some options available to researchers, the latter half of the book explores the narrative methodology in depth with references to several cases. The chapters included in this book was originally published in regular issues and two special issues of Migration Letters journal from 2009 onwards. We have regrouped and ordered these studies to enhance the flow and transition in the book. 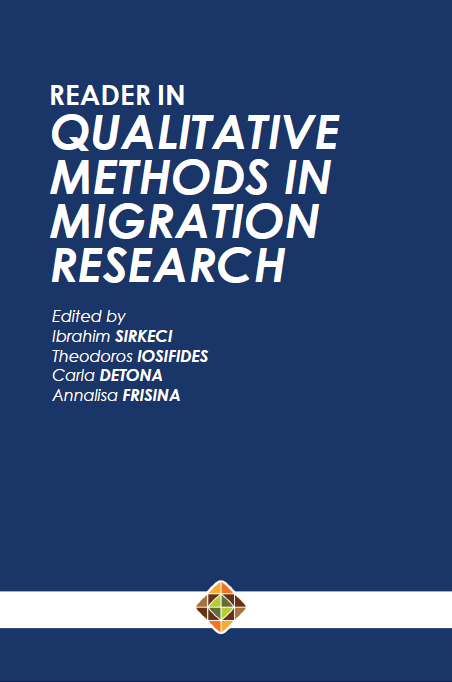 The first six chapters look into more general issues and debates in migration research methodologies, while chapters seven to ten offer cases studies on alternative qualitative methodologies and then the final six chapters focus on narratives and challenges of the narrative methodology applied in migration studies. This book includes a collection/research series of twenty scientific papers of contributors from twelve Universities and international research and academic organizations in the fields of urban/regional planning and local development. 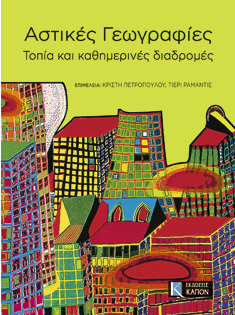 This book will be a useful and valuable textbook for both students, researchers and academics, in both theory and policy implementation in the related fields of urban/regional planning and local development. 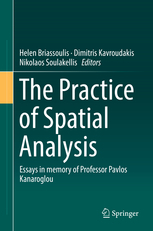 This book is dedicated to Professor Emmanuel V Marmaras (1947-2017), Professor and Head of the Department of Geography, University of the Aegean and also Head of the Department of Architecture, Technical University of Crete. 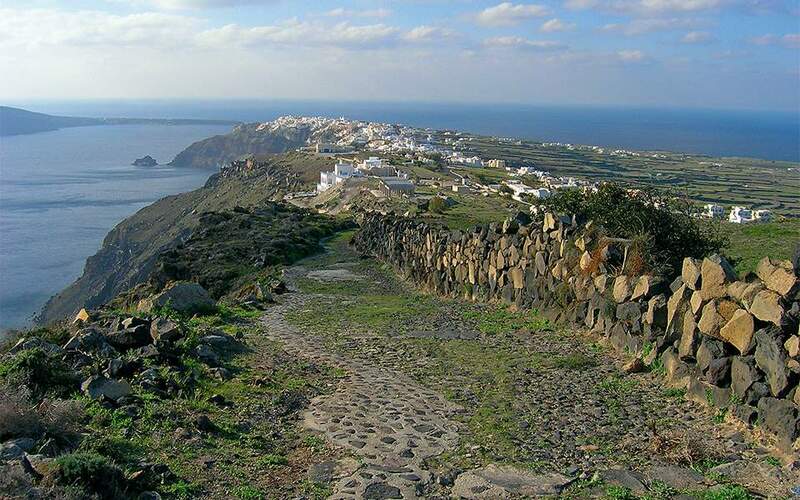 The project aims to demonstrate at the Aegean island Andros, the use of a prominent element of the Mediterranean landscape, the drystone terraces, as green infrastructures resilient to climate change impacts. For millennia terraces allowed the cultivation of marginal island areas with poor and particularly dry soils and supported local farming communities, as well as ecosystem services by improving the rainwater percolation, reducing the soil erosion and wildfire risk, and favoring local biodiversity.rnWe propose to promote climatic adaptation, by mobilizing current scientific knowledge, traditional farming and Land Stewardship (LS) practices, for a large scale revitalization of island terrace farming, for smoothening climatic and environmental extremities and supporting a modern, extensive and climate smart agricultural sector for the Mediterranean islands, with profound benefits for local societies, economies and biodiversity. rnThe long-term project objective is to expand the proposed approach to a much wider context in the Aegean, and the Mediterranean.rnThe functional restoration of the terraces in High Natural Value agricultural areas will further strengthen ecosystem functions, improve coherence of Natura 2000 network and enhance the spatial continuation and functionality of precious local ecosystems. Is the landscape the “stage-set” of the traveling experience? 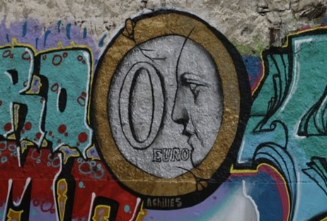 How is its economic value assessed? Should it be preserved authentically or developed touristically? These questions marked the outset of our conversation with Theano S. Terkenli, professor in the Department of Geography of the University of the Aegean, in Mytiline, and in the Interdepartmental Graduate Program in Tourism Planning, Management and Policy, in Chios. 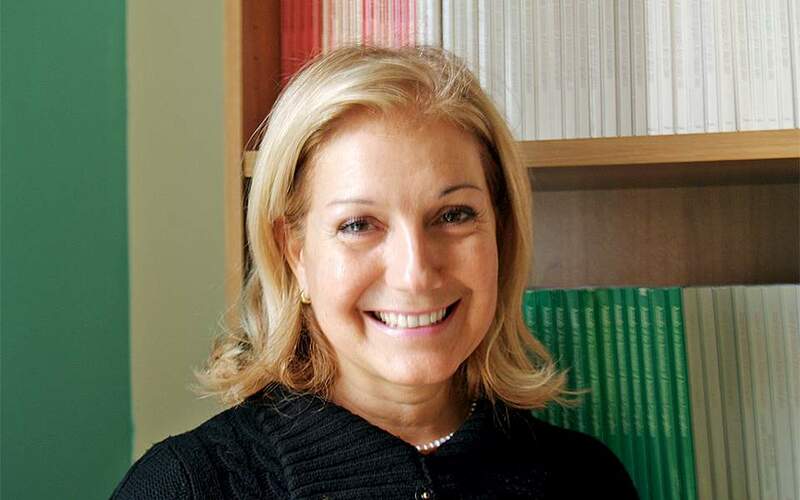 With studies in Forestry and Environmental Studies at the Artistotelian University, in Landscape Architecture and in Geography in the USA and with academic and research interests in Cultural Geography, Landscape and Tourism Geography, she talked to us about the uniqueness of the Greek landscape, its importance in tourism development, but also about the challenge facing Greek tourism, in the next few years. 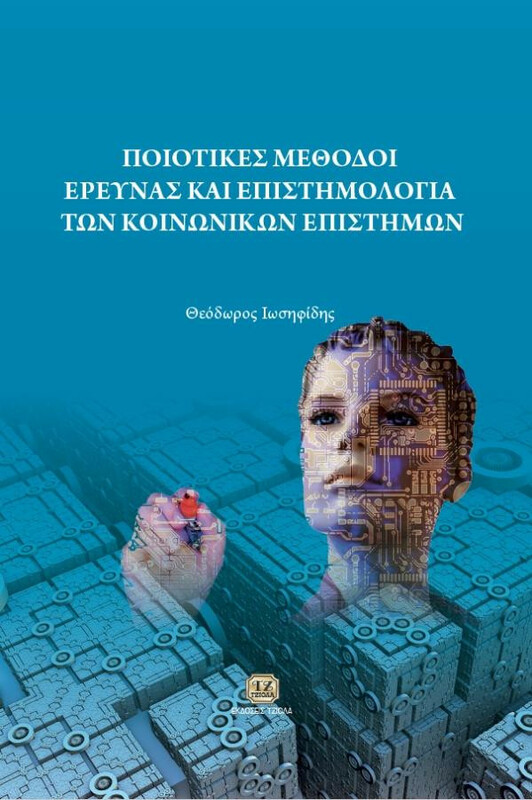 The book is a relatively advanced introduction to qualitative research methods and contains special emphasis on important dimensions of the epistemology of the social sciences. It refers to all major theoretical and methodological choices within the qualitative research practice and links epistemological positions, to theoretical strategies and methodological approaches. 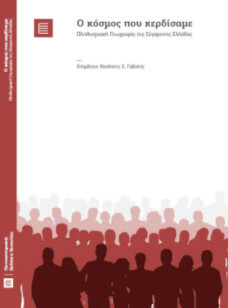 The book contains extended changes, corrections, modifications and innovations in relation to its previous edition, notably the discussion of novel themes and the improvement of the previous ones, the update of bibliographies and glossary and the inclusion of a new and extended chapter of social science epistemology with emphasis on the meta-theoretical propositions of critical realism. 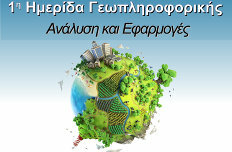 The University of the Aegean was honored for its contribution to the Geography of Tourism. At the Annual Meeting of the American Association of Geographers, 5-9 April 2017, in Boston, Massachusetts, with the participation of several thousand conferees, ms Theano Terkenli. 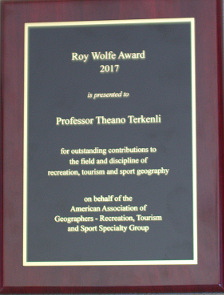 Professor in the Department of Geography, University of the Aegean, was honored with the Roy Wolfe Award “For outstanding contributions to the field and discipline of recreation, tourism and geography” by the American Association of Geographers—Recreation, Tourism and Sport Specialty Group. (https://aagrts.wordpress.com/history/). 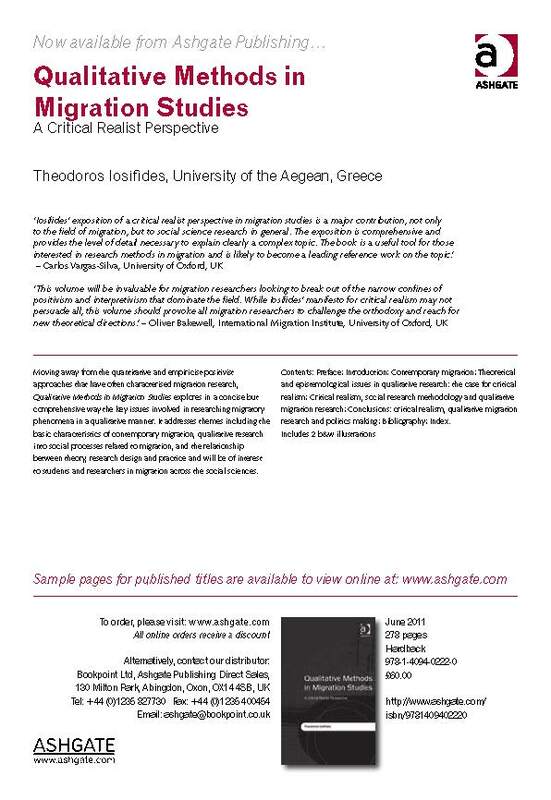 This scholarly distinction once again promotes the international image of the University of the Aegean and honors the academic achievements of our Institution. The international symposium “Assemblage Thinking: Theory, Analysis, Practice and Governance”, hosted by the Department of Geography between June 2 to 4, 2017 and organized by professor Helen Briassoulis, concluded successfully. The speakers, besides actively and crucially participating at the Symposium, had the opportunity to learn about the University of the Aegean and the Department of Geography. 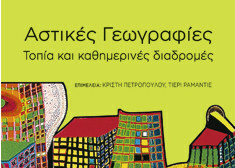 A small exhibition of the students of the Department of Cultural Communication and Technology, under the supervision of professor Nassia Chourmouziadi, and a composition of teacher-artist Mrs. Vato Fratzoglou were hosted at the Symposium.rnThe keynote invited speaker was Dr. Manuel DeLanda (adjunct professor at Princeton University, USA), who is considered as one of the main contemporary thinkers in Assemblage Thinking, while circa 30 expert speakers from three continents (Europe, N. America, Oceania) and seven countries (USA, Australia, UK, Germany, Switzerland, the Netherlands, Greece), presented their current research and participated in interesting and thought-provoking discussions for the importance of Assemblage Thinking in theoretical and applied research as well as in empirical studies.rnThe topics presented at the Symposium included: theoretical analyses of assemblages, media sociology, domestication of organisms, prehistoric archaeology, sociology of generations, responses to environmental degradation, constitution, political economic and aesthetics of cities, architectural design, politics, geopolitics, biopolitics (organ transplantations and refugee health care), place and globalization. 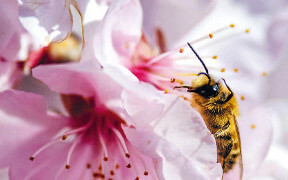 It is becoming clear that the Mediterranean region is one of the “hottest” of the biodiversity hotspots on the planet. 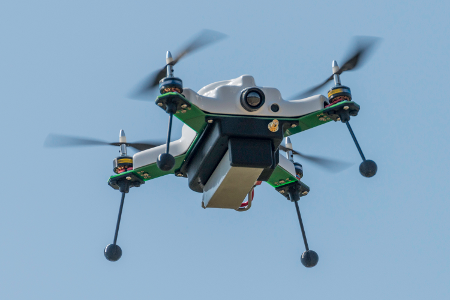 There is also an increasing concern for the conservation, adaptive management, and restoration of the unique natural ecosystems and cultural landscapes that characterize this area. The region’s biological and cultural heritage as well as its huge wealth of biodiversity are now at real risk. 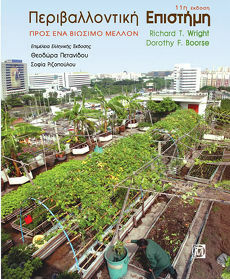 This brings a further urgency to the tasks of communicating detailed but readily accessible information on the Mediterranean biota, and an ecological, historical, and evolutionary perspective to the changing contexts in which the region’s flora and fauna continue to evolve.rnThere is no other recent textbook devoted solely to Mediterranean evolutionary ecology, and a synthesis of the many recent advances is now overdue. This new work builds on the success and reputation of the first edition, although the text has been updated and expanded to document recent changes to biodiversity, new ecological and evolutionary insights, and the challenges for the future. These changes include the addition of two new chapters devoted to the Mediterranean Sea itself, and especially the coastal areas. Throughout the book, the pressing issues of global change (especially climate warming) are addressed, in conjunction with changing land use, and in terms of their potential impact on biota, communities, ecosystems, and landscapes.rnThis text is suitable for anyone with an interest in the natural history of this region, especially graduate students and researchers of Mediterranean evolutionary ecology, biogeography, and conservation science requiring a concise overview of the topic. The primary objective of this eight city research programme is to understand whether, and if so how, collaboration relates to austerity governance. 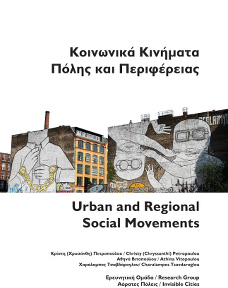 The multilingual and interdisciplinary book Urban and Regional Social Movements includes 21 texts that explore theoretical issues of movement processes or focus on examining movements which have been developed in Greece and internationally (Mexico, Brazil, Argentina, Uruguay, India, Italy, Bosnia-Herzegovina, Turkey). It is a book that aims at being constantly “under construction” and as a consequence “alive”, up-to-date and dynamic. Hence the blog https://aoratespoleis.wordpress.com/ was also created which will be regularly updated with new links, studies and news from various urban and regional movements around the world. The book argues that urban and regional movements are interrelated as the regional movements are directly associated with the resistance to the looting and/or destruction of the natural commons in the name of serving a dominant uneven urban lifestyle. Thus, there is a feedback between the practices of social movements related to regional planning issues or simply to the exploitation and management of natural resources with these of urban movements. During the last years the discussion on the urban and regional social movements has been enriched with the notion of the so-called Common Space as an interpretative approach to the recent protests, riots and uprisings shortly before and during the current global and local crisis. At the same time, the easier, faster and in a wider - often global - scale dissemination of the information about the burst and the demands of the movements, through the contemporary alternative networks of information and action, underlines the emergence of new forms of communication which will be most likely these of the movements of the 21st century. Finally, the new urban and regional movements in which this book is interested are autonomous, massive and creative. They put themselves beyond a mere denial and confrontation to get in a collective creation and in radical changes of the space and everyday life. 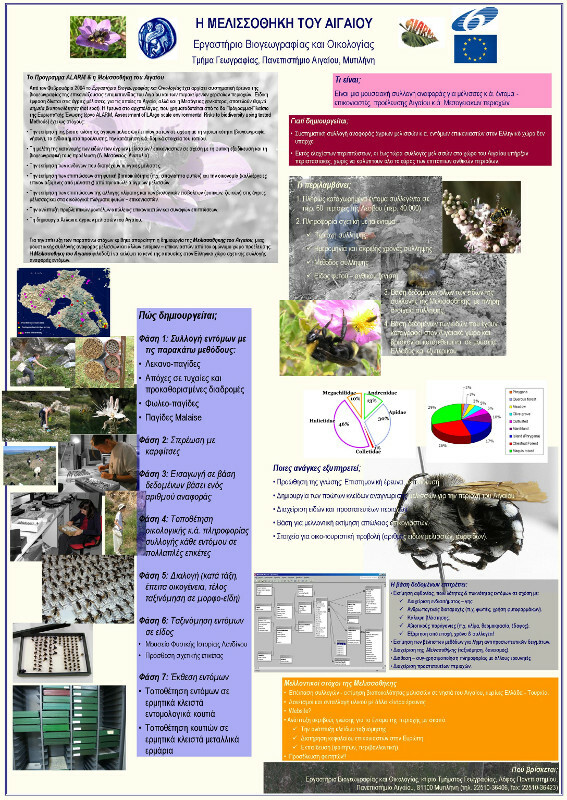 Τhe European research project MEDSCAPES, funded by the cross-border cooperation "Mediterranean Sea Basin Programme" (ENPI CBC Mediterranean Sea Basin-2007-2013), was successfully completed on the 31/12/2015. The aim of the project was to develop and implement a methodology for Landscape Character Assessment, (L.C.A.) and the mapping of different types of landscape in the Eastern Mediterranean, in selected pilot sites in the four participating countries, Cyprus, Greece, Lebanon and Jordan. 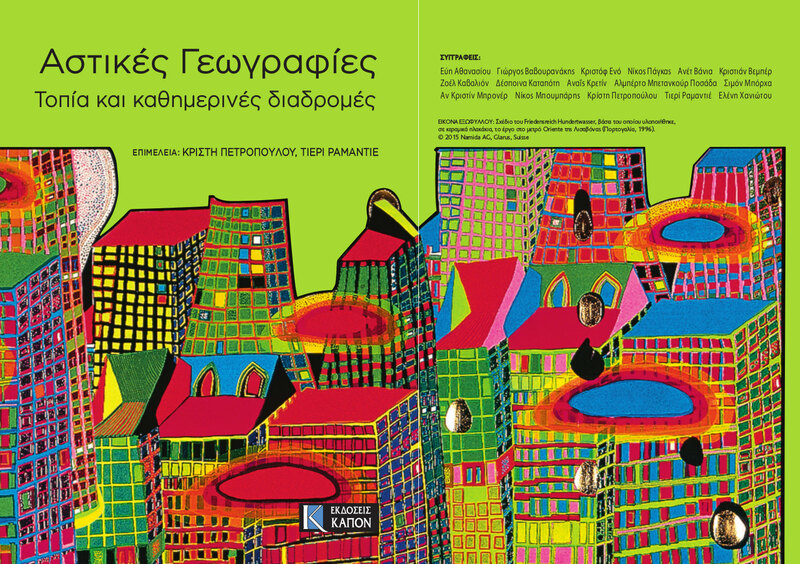 The book sketches the population geography of modern Greece in the beginning of the 21st century. It focuses on the spectacular changes that have taken place during the last decades regarding social structures and norms that had remained unchanged for centuries. It also debates how these long-term changes affected people’s lives, their attitude towards death, their practices on life issues (family formation, marriage patterns, out-of-wedlock childbearing, bridal pregnancy, divorce, widowhood etc.). The book follows the British school of thought as far as population and sociological history are concerned, as this school of thought has been formulated in the Cambridge Group for the History of the Population and Social Structure. 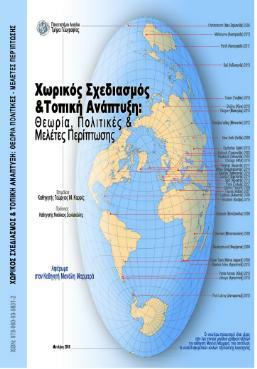 The book has been authored by three academic experts in the field of population geography, namely Vasilis S. Gavalas, Pavlos A. Baltas and Efi Kostopoulou. Το αντικείμενο του έργου που διακρίθηκε ήταν σχετικά με την “Ανάλυση και Αυτοματοποίησηrn εναέριων διαδρομών μη-επανδρωμένων πλατφορμών (UAVs)” σχετικά με περιπτώσειςrnέρευνας και διάσωσης (SAR). Το έργο υλοποιήθηκε αποκλειστικά στην γλώσσα R και περιλαμβάνει την ανάπτυξη υπολογιστικών αλγόριθμων χωρικής βελτιστοποίησης για τηνrnκάλυψη γεωγραφικών περιοχών από εναέριες πλατφόρμες. Οι αναβαθμίδες, οι κοινές πεζούλες, με πληθώρα τοπικών ονομάτων στο Αιγαίο και στη Μεσόγειο, συνιστούν έναν ακόμη κόσμο που σταθερά σβήνει από το οπτικό μας πεδίο, και φευγαλέα θα απομακρύνεται από τη συλλογική μας μνήμη στις δεκαετίες που έρχονται. Κι όμως, μέχρι σχετικά πρόσφατα, οι αναβαθμίδες του Αιγαίου αποτέλεσαν για αιώνες, ακόμη και για χιλιετίες, απαράμιλλο εργαλείο διαχείρισης της γης και εξαιρετικό επίκουρο της ανθρώπινης επιβίωσης, παρέχοντας και διατηρώντας καλλιεργήσιμη τη γη, εμπλουτίζοντας το έδαφος με το ακριβό νερό της βροχής, συνιστώντας βάθρο ανάβασης στα απροσπέλαστα επικλινή, όπου ο άνθρωπος του Αιγαίου ετάχθη να ζει. rnΣήμερα, πέρα από τον πρωταρχικό λόγο δημιουργίας τους, που άλλωστε δεν υφίσταται πλέον, ανακαλύπτουμε κι άλλους ρόλους που διαχρονικά οι αναβαθμίδες έχουν παίξει, ρόλους σχετικούς με την κληρονομιά που μας έχει παραδοθεί: την φυσική μας κληρονομιά, αφού, μαζί με τις ξερολιθιές που καθορίζουν τα όρια των χωραφιών, οι αναβαθμίδες έχουν λειτουργήσει και συνεχίζουν να λειτουργούν ως ενδιαιτήματα μοναδικά φυτών και ζώων, τόσο για τις μικροκλιματικές συνθήκες που προσφέρουν μέσα σε ένα άνυδρο και θερμό περιβάλλον, όσο και για την τροφή που παρέχουν στους άγριους αυτούς ενοίκους• την πολιτισμική μας κληρονομιά, μιας και το ανθρώπινο αυτό δημιούργημα, άρρηκτα δεμένο με το παραδοσιακό γεωργικό τοπίο, αποτελεί παλίμψηστο του διαχρονικού αγροτικού μόχθου. Πλαισιωμένο από τη μνήμη αναρίθμητων γενεών που το άγγιξαν και το αξιοποίησαν, το τοπίο αυτό φέρει δωρικά αποτυπωμένες πρωτότυπες, άριστα προσαρμοσμένες στις τοπικές συνθήκες παραγωγικές λύσεις που αποτελούν πρότυπα λαϊκής αρχιτεκτονικής και αισθητικής, μνημεία εντοπιότητας. Μαζί με τους ελαιώνες και τα ταπεινά φρύγανα, τους λιθόκτιστους οικισμούς και τις κυματιστές ακτές, συνιστούν το διαχρονικό τοπίο του Αιγαίου. Διανύουμε ήδη τη δεύτερη δεκαετία του 21ου αιώνα, όλα δείχνουν πως έχει ανατείλει μια εποχή κατά την οποία η ανθρωπότητα καλείται να απαντήσει σε νέες και σοβαρότατες προκλήσεις. Προκλήσεις που εγείρονται, σε πολύ μεγάλο βαθμό, από την ίδια τη δραστηριότητα του ανθρώπου πάνω στον πλανήτη. Ο υπερπληθυσμός, το φαινόμενο του θερμοκηπίου, η ρύπανση των υδάτων και της ατμόσφαιρας, οι μαζικές αποδασώσεις, η ξηρασία, η φτώχεια και οι ασθένειες που εξακολουθούν να μαστίζουν το μεγαλύτερο μέρος του ανθρώπινου πληθυσμού, οι νέες και ταχέως αναδυόμενες οικονομίες με τις διαρκώς αυξανόμενες ενεργειακές τους ανάγκες, οι πολεμικές συρράξεις και ο πολύ ορατός κίνδυνος της σιτοδείας είναι μερικές μόνον από αυτές.rnΤο ανά χείρας βιβλίο εξετάζει τον πλανήτη ως οικοσύστημα και τη θέση του σύγχρονου ανθρώπου μέσα στο περιβάλλον αυτό. Μέσα από την έρευνα και τη γνώση ο άνθρωπος καλείται να συνειδητοποιήσει ότι η μέριμνα για το μέλλον του συνεπάγεται κατ' ανάγκην και τη μέριμνα για το μέλλον του πλανήτη. Το ζητούμενο είναι μια βιώσιμη ανάπτυξη, δηλαδή μια ανάπτυξη που θα εξυπηρετεί τις ανθρώπινες ανάγκες κατά τρόπο που να μην πλήττει θανάσιμα τον πλανήτη, υπονομεύοντας μακροπρόθεσμα την ίδια την παρουσία του ανθρώπου πάνω στη Γη. Από την άποψη αυτή, ο 21ος αιώνας αναμένεται να αποβεί καθοριστικός της νέας χιλιετίας που βρίσκεται μπροστά μας. 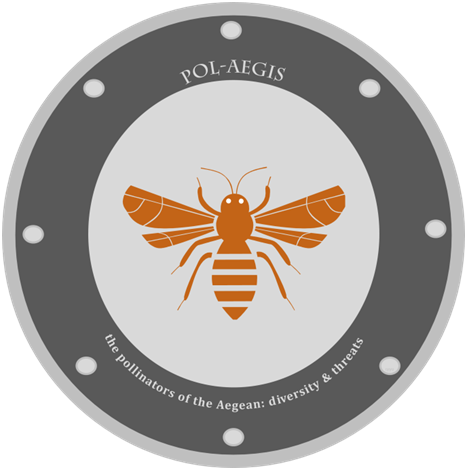 The project POL-AEGIS (The pollinators of the Aegean: biodiversity and threats) was concluded success fully on 30/11/2015. Through an extensive and systematic fieldwork, a substantial number of deliverables and infrastructures were generated. 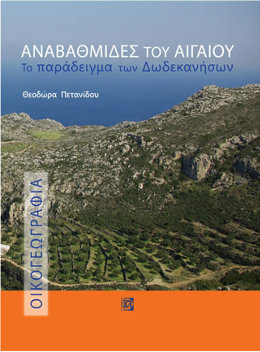 They include knowledge on pollinator biodiversity (ecological, genetic) in the Aegean Archipelago; the threats these pollinators face, along with a baseline for their future monitoring and for creating a Red Data Book; human taxonomic capital for the pollinators of the country;Taxonomic keys of different pollinator groups;the Atlas of the hoverflies of Greece; andthe Melissotheque of the Aegean. Στο βιβλίο αυτό διερευνώνται οι κοινωνικές κατασκευές των σχέσεων καθημερινής κινητικότητας (καθημερινών διαδρομών) και αστικού τοπίου. Η προσέγγιση γίνεται από οικολογική, κοινωνική και ψυχολογική σκοπιά, με τη συσχέτιση διαφορετικών εννοιών : της έννοιας του αστικού οικο-τοπίου και του ηχο-τοπίου (αστική γεωγραφία, κοινωνική ανθρωπολογία, οικολογία τοπίου) και της έννοιας της «ταυτότητας μετακίνησης» (περιβαλλοντική ψυχολογία και κοινωνική ψυχολογία). Το βιβλίο προτείνει μια μεθοδολογική αρχή έρευνας για το τοπίο που παρουσιάζεται μέσα από έρευνες που έλαβαν χώρα σε πόλεις και περιφέρειες στην Ελλάδα, στη Γαλλία, στο Μεξικό και στις Ινδίες. Απευθύνεται στο ευρύ αναγνωστικό κοινό και ιδιαίτερα στους φοιτητές και ερευνητές των κοινωνικών επιστημών (γεωγραφία, κοινωνιολογία, ανθρωπολογία, πολιτιστικές σπουδές), της αρχιτεκτονικής και της χωροταξίας – πολεοδομίας. ΕΠΙΜEΛΕΙΑ: ΚΡIΣΤΗ ΠΕΤΡΟΠΟYΛΟΥ, ΤΙΕΡI ΡΑΜΑΝΤΙE - Συγγραφείς: Εύη Αθανασίου, Γιώργος Βαβουρανάκης, Κριστόφ Ενό, Νίκος Πάγκας, Ανέτ Βάνια, Κριστιάν Βεμπέρ, Ζοέλ Καβαλιόν, Δέσποινα Καταπότη, Αναϊς Κρετίν, Αλμπέρτο Μπετανκούρ Ποσάδα, Σιμόν Μπόρχα, Αν-Κριστίν Μπρονέρ, Νίκος Μπουμπάρης, Κρίστη Πετροπούλου, Τιερί Ραμαντιέ, Ελένη Χανιώτου. 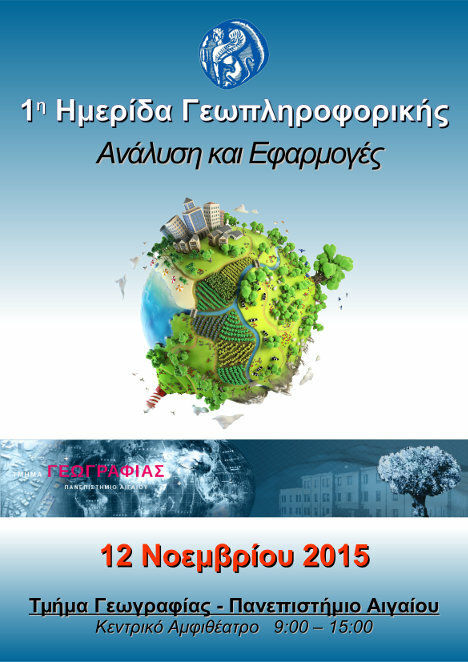 The European FP7 project “VOLANTE: Visions of Land Use Transitions in Europe” was successfully completed on 15/4/2015. The aim of the project was the development of a model plan and design of a roadmap for future land resource management in Europe. after consultation with representatives from the European Commission, NGOs, professional organizations, as well as national and regional institutions, along with lay public participation of European citizens, at local, regional, national and European levels, towards a future Sustainable Europe. 1η Ημερίδα Γεωπληροφορικής: Ανάλυση και Εφαρμογές (12 Νοεμβρίου 2015, Τμήμα Γεωγραφίας - Πανεπιστήμιο Αιγαίου, Κεντρικό Αμφιθέατρο 9:00-15:00). Στόχος του προγράμματος Περιβαλλοντική (Γεω)Πληροφορική είναι η επιμόρφωση αποφοίτων ΑΕΙ (Πανεπιστημίων και ΤΕΙ) σε σύγχρονα γνωστικά αντικείμενα που αφορούν τις Τεχνολογίες Πληροφορικής και Επικοινωνιών και τις εφαρμογές τους στη μελέτη του περιβάλλοντος σε όλες του τις εκφάνσεις (φυσικό, ανθρωπογενές, κοινωνικό). 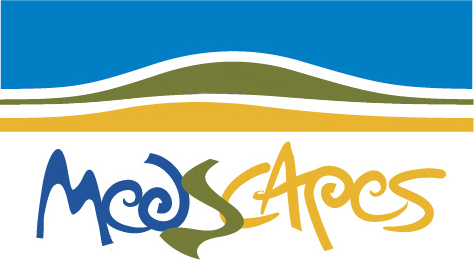 MEDSCAPES aims at developing and implementing a single methodology for landscape character assessment (L.C.A.) 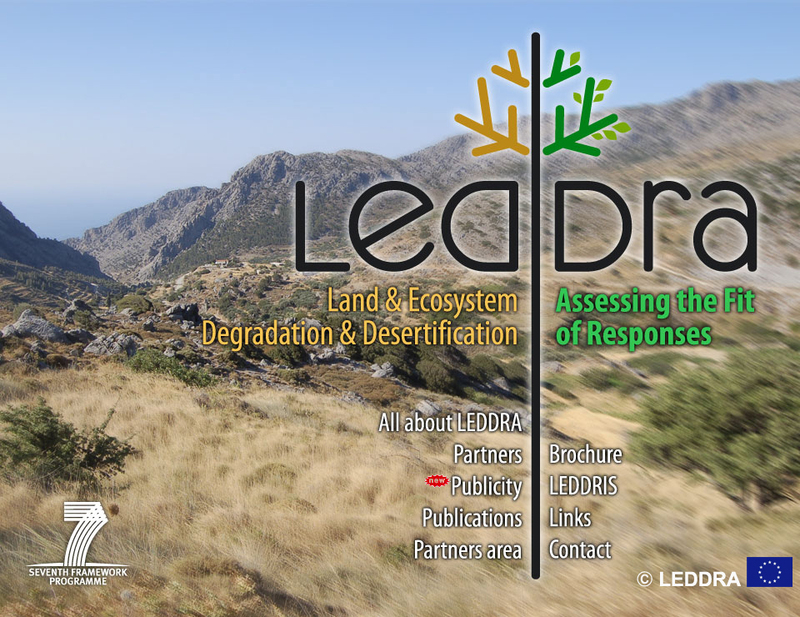 and mapping different types of landscapes in the Eastern Mediterranean, in selected pilot areas of the four partner countries (Cyprus, Greece, Jordan and Lebanon), and for transfering expertise in all such landscape-related matters in the region. 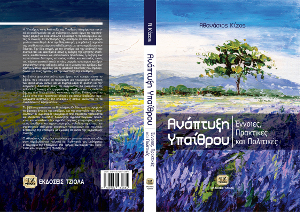 Kalabokidis K., Iliopoulos N., Gliglinos D. 2013. 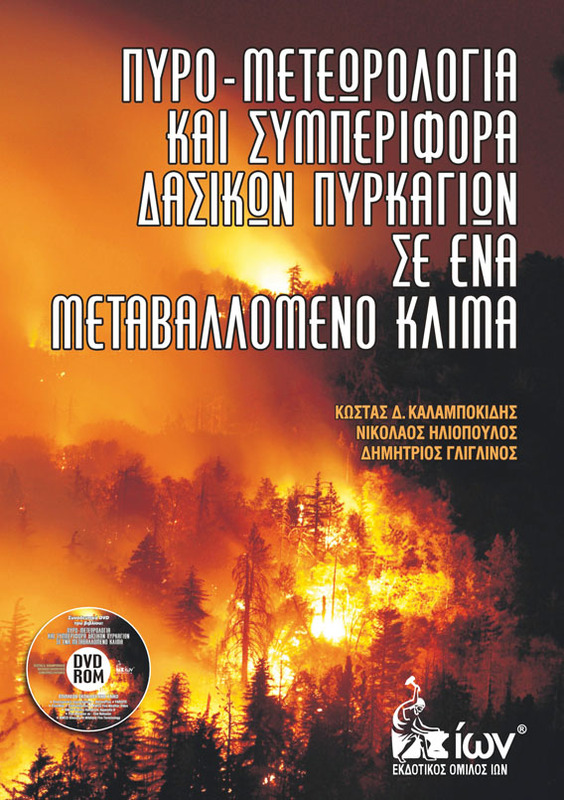 Fire Meteorology and Forest Fire Behavior in a Changing Climate. ION Publications, Athens. 400 p.
The book concerns qualitative methods in migration studies within the framework of critical realist epistemological and theoretical approach. The book contains a critique of both empiricist-quantitative, positivist school of thought and relativist-postmodern approaches in researching social phenomena and processes and offers a critical realist way of overcoming their problems and weaknesses. LEDDRA addresses the question “how fit, i.e. 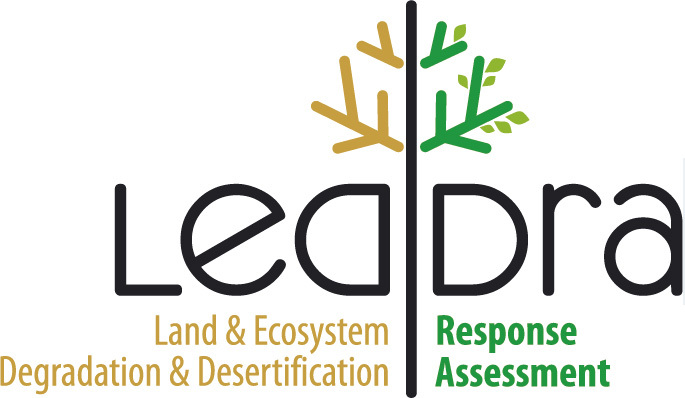 how well adapted, are human responses to Land and Ecosystem Degradation and Desertification (LEDD) to their biophysical and socio-economic setting?” and it seeks to advance the integrated assessment of their socio-ecological fit. "European Identity at the Crossroad" deals with the development, existence and dilemmas concerning the European identity among youth in Europe. It compiles the results of a research conducted within the Comenius project Perception, Attitude, Movement - Identity Needs Action (PAM-INA). 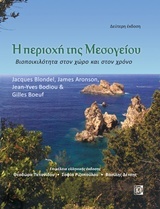 The Melissotheque of the Aegean is a reference collection of wild bees and other insect pollinators from the wider area of the Aegean. The creation of this scientific infrastructure began in 2004, within the framework of the research needs and the activities of the laboratory, where the collection is kept.rnThe Melissotheque is financed entirely through research projects, such as the ALARM project (2004-2009) or the Thales project (2011-2015). This research argues that the big cities of the Mediterranean and Latin America present comparable processes of urban development imprinted in their urban landscapes. 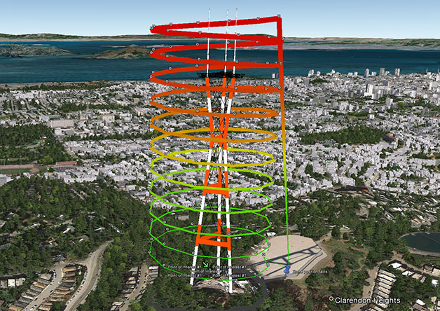 The concept of the urban eco-landscape enables the analysis and comparison of both cities landscapes at different spatial and temporal scales. Το Τμήμα Γεωγραφίας του Πανεπιστημίου Αιγαίου, με αφορμή τον εορτασμό των 15 χρόνων από την ίδρυσή του, προκηρύσσει δύο Πανελλήνιους Μαθητικούς Διαγωνισμούς «Γεωγραφίας»: A. Για μαθητές Δημοτικού (Ε’ και ΣΤ’ Τάξη). B. Για μαθητές Γυμνασίου. Θα απονεμηθούν σε τρεις μαθητές του Δημοτικού και τρεις μαθητές του Γυμνασίου τιμητικά βραβεία και έπαινοι. Οι βραβευθέντες στο τέλος Ιουνίου θα κληθούν να συμμετάσχουν σε μια γιορτή στο χώρο του Πανεπιστήμιου όπου θα παρουσιαστούν τα έργα τους και θα γίνει και η απονομή των βραβείων. Τα έξοδα μεταφοράς των μαθητών καθώς και η διαμονή τους θα καλυφθούν από το Τμήμα. 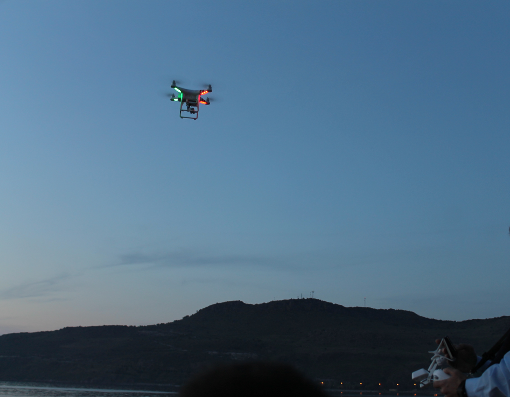 Με την ευκαιρία του εορτασμού του Διεθνούς Έτους για τον Πλανήτη Γη το 2008, το Τμήμα Γεωγραφίας του Πανεπιστημίου Αιγαίου στη Λέσβο, οργανώνει το διεθνές συνέδριο “Σπουδή, Μοντελοποίηση και Κατανόηση του Πλανήτη Γη” για το οποίο ο Τομέας Φυσικών Επιστημών της UNESCO εκδήλωσε την υποστήριξη του.rnrnΤα σύγχρονα χωρο-κοινωνικά προβλήματα απαιτούν μια βαθιά κατανόηση των συζευγμένων ανθρώπινων-περιβαλλοντικών συστημάτων που φιλοξενεί ο Πλανήτης Γη και, ιδιαίτερα, των πολύπλοκων αλληλεπιδράσεων τους για να στηρίξουν τη λήψη αποφάσεων από το ατομικό μέχρι το παγκόσμιο επίπεδο. Ο σκοπός του συνεδρίου είναι αν φέρει κοντά όλες τις επιστήμες που μελετούν τα φυσικά και τα ανθρώπινα φαινόμενα, να ενθαρρύνει το διάλογο μεταξύ τους και αν προσφέρει τόπους συζητήσεων για την ολοκλήρωση και σύνθεση της γνώσης, ένα έργο που απαιτεί μια κίνηση πέρα από τα στενά όρια κάθε επιστημονικής περιοχής και προς συνυφασμένα θεωρητικά και αναλυτικά σχήματα. Σκοπός του Συνεδρίου είναι η παρουσίαση των νεότερων αποτελεσμάτων της έρευνας των επιστημόνων της Ελλάδας και του ευρύτερου Μεσογειακού και Ευρωπαϊκού χώρου σε αντικείμενα της Γεωγραφίας. Τα θέματα των ανακοινώσεων διαρθρώνονται σε τέσσερις ενότητες: Ι. ΦΥΣΙΚΗ ΓΕΩΓΡΑΦΙΑ ΚΑΙ ΠΕΡΙΒΑΛΛΟΝ, ΙΙ. Ανθρωπογεωγραφία και Κοινωνία, ΙΙΙ. Χαρτογραφία και Γεωπληροφορική, ΙV. Αειφόρος Ανάπτυξη και Σχεδιασμός του Χώρου, V. Γεωγραφική ΕκπαίδευσηrnΦορέας διοργάνωσης: Ελληνική Γεωγραφική Εταιρία – Τμήμα Γεωγραφίας Παν/μίου Αιγαίου. 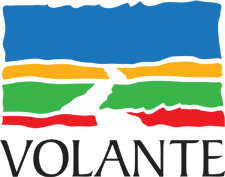 The 21st session of the Permanent European Conference for the Study of the Rural Landscape will feature six themes: Cultural history of Mediterranean landscapes, Tourism and the landscape, Local landscapes, Islands, Biodiversity and land use, Theory and methodology of landscape research. Η Χαρτογραφική Επιστημονική Εταιρία Ελλάδας (ΧΕΕΕ) σε συνεργασία με το Τμήμα Γεωγραφίας του Πανεπιστημίου Αιγαίου διοργανώνει στη Μυτιλήνη το 7ο Εθνικό Συνέδριο Χαρτογραφίας από 24 ως 26 Oκτωβρίου 2002, με θέμα: "Νησιωτική Χαρτογραφία". Η μακροχρόνια επιστημονική δραστηριοποίηση της Ελληνικής χαρτογραφικής κοινότητας έχει αποδώσει εξαιρετικά σημαντικό επιστημονικό έργο με διεθνή απήχηση, όπως αυτό παρουσιάζεται μέσα από τα διεθνή επιστημονικά περιοδικά καθώς και τα πρακτικά Ελληνικών και διεθνών συνεδρίων (π.χ. Εθνικά Χαρτογραφικά Συνέδρια της ΧΕΕΕ, Διεθνή συνέδρια της International Cartographic Association).